Who can resist a plate of hot, crunchy, loaded Mexican nachos? Beef mince & black beans cooked in our tomato and bean Nacho Salsa, layered with mouth-watering Nacho Chips and oozing with melted tasty cheese is topped off with tangy guacamole – this is one quick & easy Mexican recipe that everyone will love! It’s the perfect snack for sharing between friends and family. 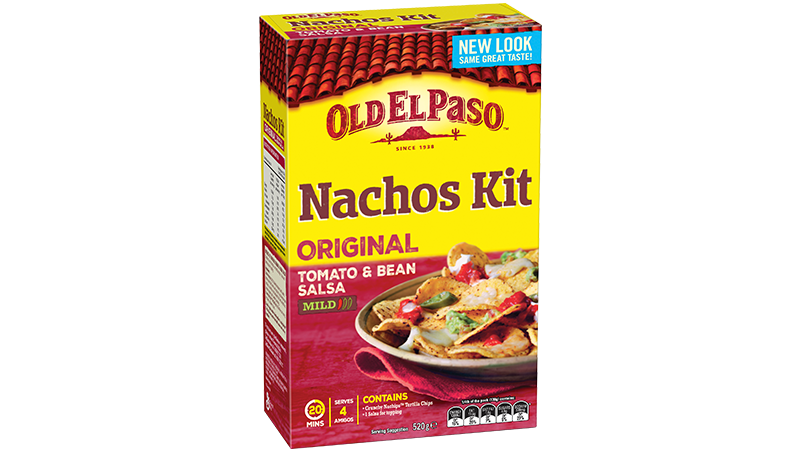 When beef is cooked, add both sachets of Nacho Salsa and cook for 3 minutes or until slightly thickened. 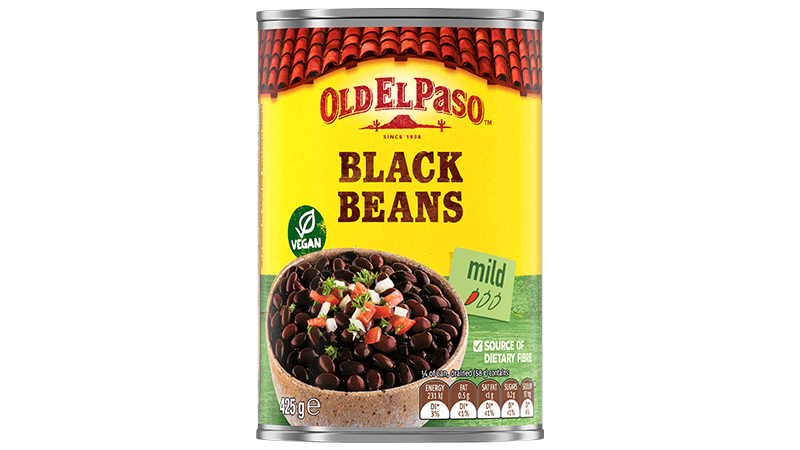 Remove from heat and stir in black beans. Pour beef and black beans mix into a large ovenproof dish. Top with corn chips and sprinkle with cheese and bake for 10 – 12 minutes or until cheese is golden. For the Guacamole: using a fork, mash avocado together with the Guacamole Spice Mix. Spoon into serving bowl and top with coriander. 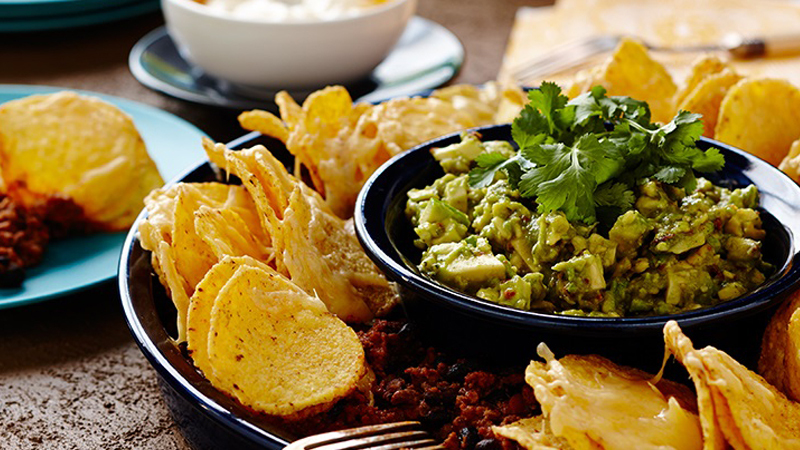 Serve nachos, guacamole and sour cream to the table and let everyone dig in!